At Stanaway Farms, we offer a variety of plants, trees, and bulk mulch and rock for sale at our greenhouse. We also provide professioanl landscaping, yard maintenance, tree shearing, and brush removal services to the Mid-MO area.View All Service Areas. We carry an extensive inventory of plants and trees, as well as bulk mulch, rock, and soil. We provide new landscape installation, as well as a variety of seeding and fencing options. Maintenance services include weed control, shrub trimming, fall leaf removal, mulching and more! Tree shearing, tree removal, stump grinding, sprout removal, and brush clearing services. 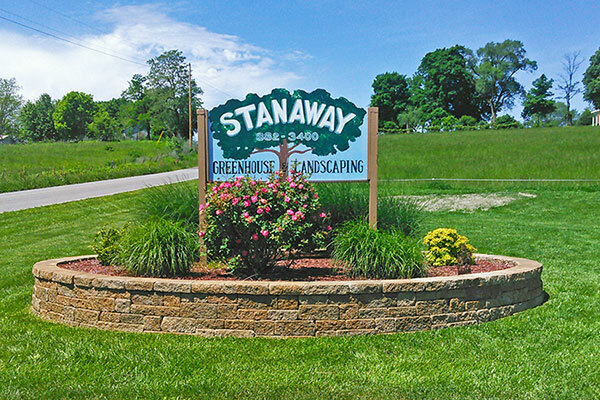 In 1962, Jim Stanaway settled in Boonville MO and established Stanaway Farms. He had a successful purebred hog business for many years. Deciding to diversify in 1985, he and his wife, Marilyn, grew commercial horseradish for a company in Wisconsin. Marilyn also grew and sold red raspberries at the farm. Deciding to diversify once again, they opened a greenhouse and landscape business in 1998, which they have operated since. 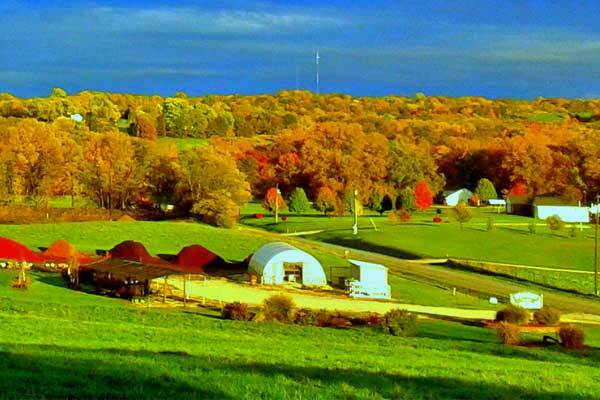 Their customers enjoy visiting the greenhouse, located out in the country, where the scenery is beautiful and peaceful. Our greenhouse is located 3 miles west of Boonville on Santa Fe Rd.